Is this the future of a world without oil? Readers Question: What would a world without oil look like? 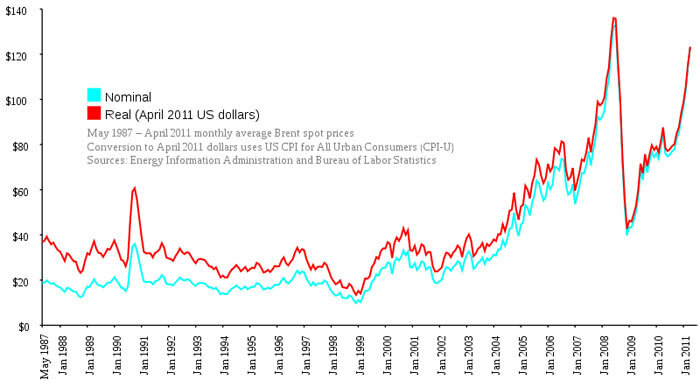 Oil is currently the most important commodity. It is vital to transport (air, sea, road and rail) and also the production of goods like tar and plastic. Without oil, society and the economy would look quite different. The big issue is how smooth was the transition to a post-oil world. Given known oil reserves, we aren’t going to suddenly wake up one day and find oil is no longer available. There will be a gradual increase in price, encouraging the development and production of alternatives. Therefore, in theory, a world without oil may not be so bad because we have developed alternative forms of transport and energy. In theory, the world could already survive without oil. There is greater incentive to produce and buy cars / planes which use alternative fuel sources. Already, we have gas powered cars, electric cars and even solar powered cars. These are currently more expensive, but the greater the price of oil, the closer they will come. Also, as firms invest more in electric powered cars, the quality is likely to rise and price fall – as we benefit from economies of scale and improved technology. As the oil price increases, it makes it more attractive to find more oil reserves in previously inaccesible places. If there is a shortage of oil and very high price, there may be increased oil drilling in the Antarctic. It is more expensive to extract oil from this inaccessible place. But, as oil becomes scarce and expensive, it becomes more worthwhile. Therefore, to some extent the market can respond to the increased shortage. Therefore, by the time the world has no oil, there will be in place alternatives and so there will be a smooth transition. Technological advances mean that there are many untapped potentials. 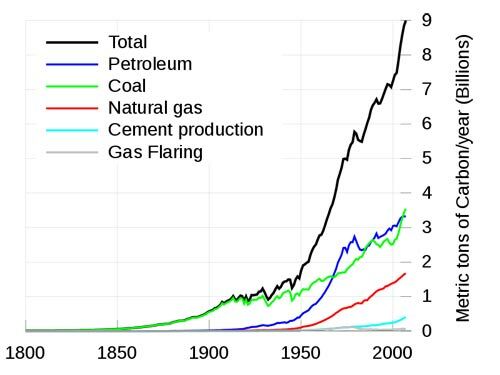 A century ago, we were reliant on coal, and before that horses. There is no reason why we have to rely on oil forever. Oil a major contributing factor to global carbon emissions. Environmental Benefits. Oil does contribute towards pollution – both of the air and sea. Burning fossil fuels creates a variety of problems from poor air quality to global warming. By the time we run out of oil, global warming may be past the tipping point. But, the opportunity to switch from carbon fuels to cleaner energy could help provide a better environment. For example, there have been huge strides in solar powered electricity generation. It is feasible, the majority of our power could come from sources such as solar power, providing cleaner and renewable energy. However, if we substitute oil for gas or nuclear power, the environmental benefits could be non-existent. Growth in alternative transport. It is possible that if alternatives to oil are much more expensive, people in cities may increasingly choose old-fashioned transport such as cycling, walking or mass transit. This could have health benefits, reduce congestion and improve living standards in cities. 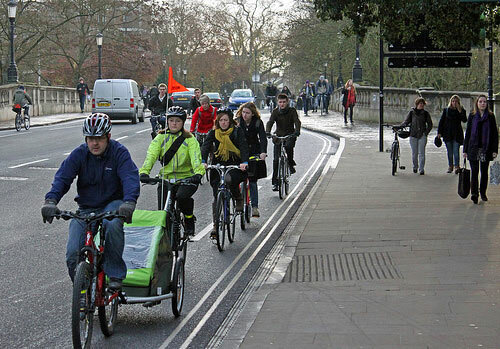 For example, there has been increased interest in cycling as a means of transport around cities. A world without oil could give this kind of movement a boost. However, I would think it is most likely, that in the course of time, we do develop alternative energy sources which are as cheap as petrol. There is no guarantee that there will be a smooth transition to a world without oil. Alternative technologies will be developed, but these could be substantially more expensive than petrol. This could have a significant impact in developing countries, where they are dependent on relatively cheap petrol. Low income countries could suffer from even a small increase in transport costs. Already some countries like Indonesia and India subsidise petrol prices because it is so important. If we run out of oil, and there is no satisfactory alternatives, it could lead to a decline in economic growth and living standards as we spend a higher % of our income on alternatives. Oil and petrol are also used to manufacture a variety of products such as plastic, tar, engine oil and other products. Without oil, these goods may be more expensive or hard to replicate.